It was included in the 1978 book Songs of the Spirit. volume 1, and has been in other publications including Mission Praise and Anglican Hymns Old and New. The tune has a 4/4 time signature, and in the key of E the first few notes are EF GG GA GF FF. It appears to borrow a few musical phrases from Neil Young's 1970's hit, After the Gold Rush. The song has been translated into Swedish, as Halleluja Vår Fader, and is also know as Thank You Father. Knowing we would bruise Him and smite Him from the earth. 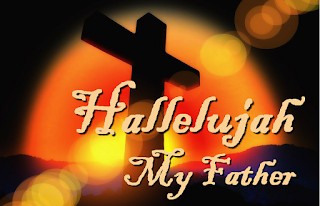 Hallelujah, my Father, in His life is my life.